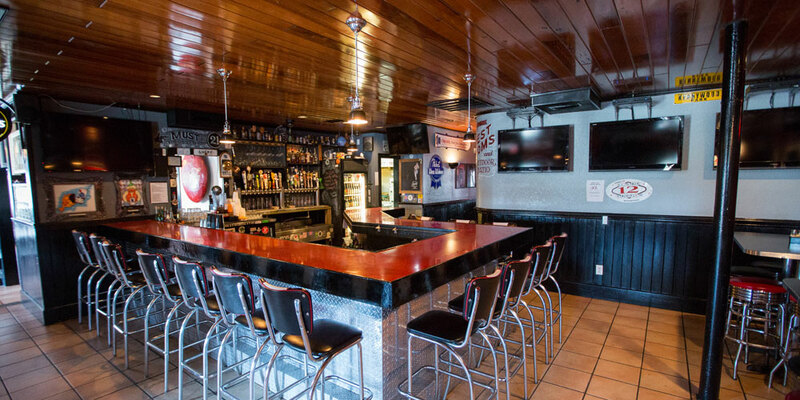 Lucky 12 Tavern was established in 2006, quickly growing to iconic status with locals and visitors alike. 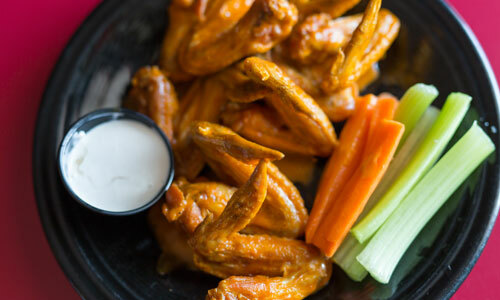 We offer fun, affordable dining featuring local seafood, local produce, hand pattied burgers, Philly cheesesteaks, New York style pizza, creative salads, amazing wings, boardwalk fries and a kids menu. 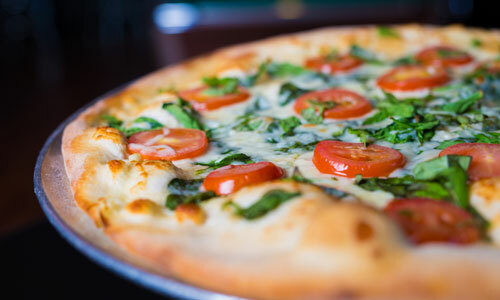 Night owls take note: we serve pizza until 2 AM! 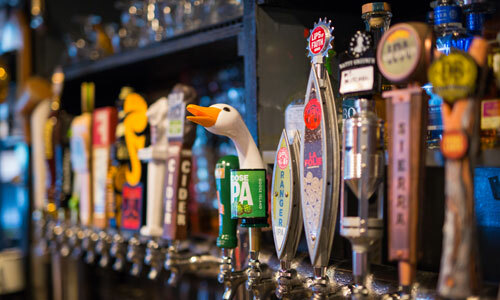 If you're a beer connoisseur, Lucky 12 features 20 Beers on draft including many North Carolina craft beers and regional special releases along with another 90 beers by the can or bottle. In addition, we have all ABC permits to serve up your signature drink, or you can pick something tasty from our wine and martini lists. Come hang out on our outdoor patio, play pool or pinball, listen to some tunes or catch a game with your friends, family or coworkers. If you're a sports fan, Lucky 12 sets the stage with 20 TVs (including 3 on our outdoor patio). Our sports packages feature the NFL Sunday ticket, MLB package, NHL package, ESPN college extra, BIG 10 network and the SEC network along with regional and nationally televised games. Lucky 12 is located at mile post 11 1/2 on the beach road in Nags Head. 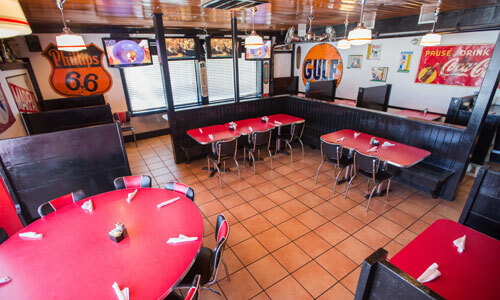 Open for lunch and dinner seven days a week and nightly until 2 AM, so there's plenty of time to stop by and see why visitors and locals consider us as one of their favorite spots on the beach. 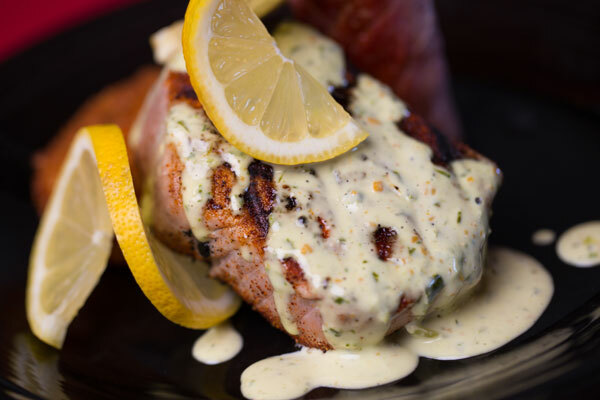 Local Yellowfin tuna grilled over an open flame with a sweet chile glaze. Served with two sides. 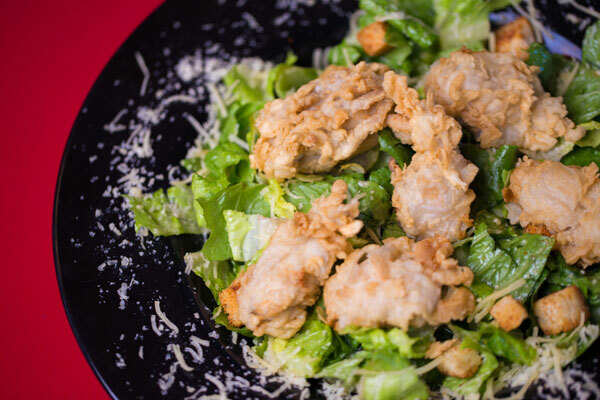 Crisp romaine tossed in our garlicky caesar dressing topped with lightly fried hand breaded local oysters. 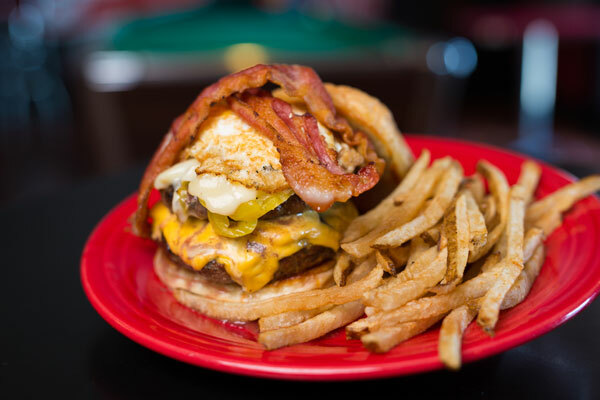 Two hand pattied burgers topped with a fried egg, bacon, pepperoni, banana peppers, and cheese. 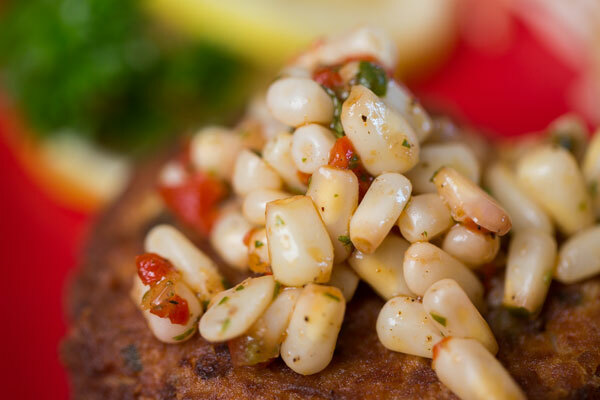 Lump crabcake perfectly fried to a golden brown topped with our white corn salsa. Plus two sides.